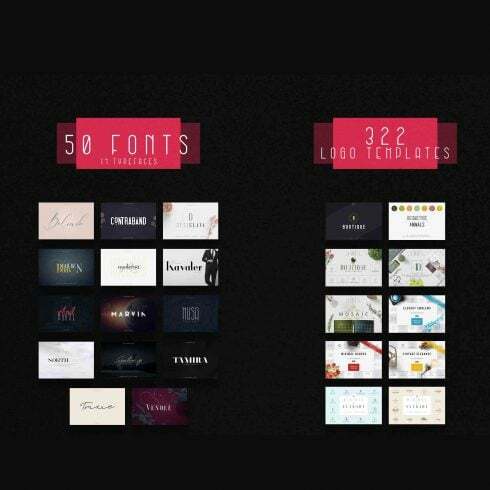 50 outstanding fonts + 322 premade logo templates for just $19, saving you 99%! Value of this bundle is $672. Now you can get this collection for $19, saving you 99%! What Are Fonts and What Makes Them Useful? A font is a variety of signs of a particular dimension and style that shapes one thematic and structural system. The key function of any web font is to attract the reader’s attention with its design and color and make him read the written content. A proper web font allows you to convey not just the words but also a certain atmosphere. Cool and unconventional fonts are more expressive and more recognizable, so each company tries to regularly work with its unique one as an essential part of their identity. The price for customized fonts typically varies from zero to over hundred dollars. What Exactly Are Web Font Bundles and What Is Their Price? Font bundle deals are the staple offers for successful graphic designers. A font bundle is a package of several high-quality fonts. A bundle will cost you much less in contrast to prices of all these fonts separately. It enables saving anywhere up to 99%. 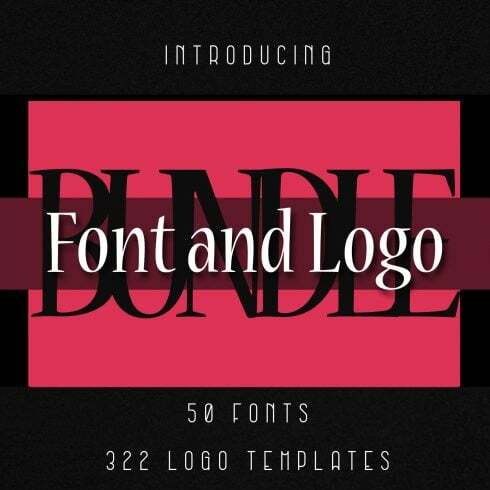 At Masterbundles, one can find font bundles within the range of $4- $50, primarily based on the size of the pack. There exist 5 types of fonts. Serifs are more classic, they are easily identified via small lines placed on characters. Sans-Serif fonts are a modern font type, and letters do not have small lines on their ends. Slab-serifs look blocky and massive, these fonts contribute substance to the style and design. Script fonts emulate hand-writing while having connected letters. Stencils are recognized by curved edges and thin strokes, use them to produce an artistic headline. How Can Fonts Impact Perception of the Product or Company? The quality of typography can determine the way visitors perceive and understand written information. Fonts help to grab attention and set up structure. Fonts set the atmosphere and produce brand attractiveness. Entrepreneurs are aware that typography can create or ruin any visual advert, business logo, or brand graphics. Whenever you uses poor or plain looking typography, visitors consider the design as cheap and don’t pay attention. If the font is unreadable, your entire artistic endeavor fails to accomplish its aims. I Have Not Found Any Worthy Fonts within This Specific Bundle. What to Do? Don’t worry about it! Master Bundles presents lots of various bundle choices for different events and styles. Just browse through our website and you’ll definitely discover something to your taste and expectations. Apart from font bundles, MasterBundles offers many great deals. Consider image bundles, icons, textures and patterns, web theme bundles. There are as well electronic books and courses, stock photos, logo designs, illustrations and add-ons, mockups, as well as other categories. We’ve got thematic X-mas and Valentine’s deals, postcards and powerpoint presentations. And also, obviously, the most popular under $5 deals! Masterbundles is a web-based marketplace. On our resource, pro graphic designers offer their designs at the best prices. We offer the very best design bundles on the market, and our products are well praised by customers. Visit our blog, it truly is packed with practical and motivating material for successful designers. Additionally, in case you sign up for our newsletter, you’ll be the first to be informed on our special discounts. And we love discounts. There are always coupons and promotional codes offered to lower the price to a minimum.